NVIDIA has announced at Siggraph, the annual computer graphics conference, the Kepler-based Quadro K6000. The company says it’s “the fastest and most capable GPU ever built” with twice the graphics capability of the Quadro 6000 predecessor. 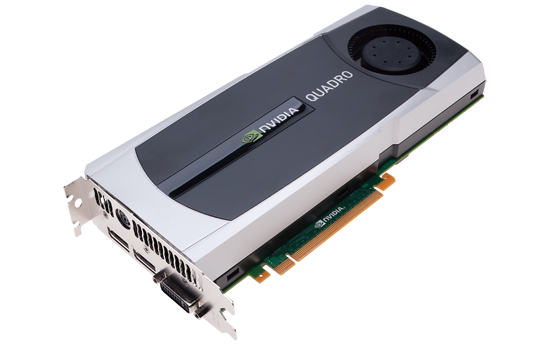 The NVIDIA Quadro K6000 GPU is actually a graphics card with the full-featured GK110 graphics processor (Kepler architecture).It comes with 2,880 streaming multiprocessor (SMX) cores (faster visualization and compute horsepower) and 12 GB of GDDR5 ultra-fast memory. Between that and four simultaneous display links (up to 4K resolution with DisplayPort 1.2), the adapter is five times as fast as the NVIDIA Quadro 6000 GPU (its predecessor) and has twice the graphics capability. The “world’s largest and fastest” DDR5 graphics memory enables companies like Nissan to load nearly complete vehicle models, for instance. The Quadro K6000 is set to hit the market in autumn and will be available through vendors such as HP, Dell and Lenovo, as well as system integrators and partners like PNY.